Our state-of-the-art facilty allows us to provide better service and higher quality at an affordable price point. Powder Works Inc., offers professional powder coating services to industrial customers, including OEMS and custom metal fabricators. We possess a passion to serve, which is evident in our commitment to on-time delivery, quality, and to be the best overall value to our customers. We’re ready to get started on your project. Simply give us a call or contact us through our simple online form. The choice is yours and we’ll be ready to help. Explore our site and learn more about Powder Works and how we'll be the best powder coating decision you'll ever make. IoA considers Powder Works as a significant contributor to our success as a health care furniture provider. With their professional approach to our needs, we have time and time again been able to be meet and exceed customer expectations on quality and on time delivery. 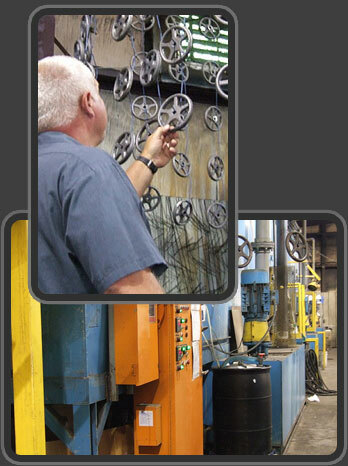 We would highly recommend their services to anyone who is manufacturing in today’s highly competitive market.